With a long history of mass-produced housing experiments going back to the 1920s Sears, Roebuck & Co. mail-order homes, and the post–World War II suburban mass- housing experiments, California has a rich legacy of prefab hits—and misses. In recent years, a new generation of builders has arrived on the scene seeking to surpass this legacy by exploiting emerging mass-customization techniques and new technologies to streamline production. But these aren’t your grandparents’ prefab units. The days of rigid space-age designs are long gone, replaced by new designs that instead focus on diverse aesthetics and material flexibility. These new designs tend toward a pervasive adaptability that not only bolsters their widespread appeal but also helps builders meet the onerous local design restrictions that define many California communities. 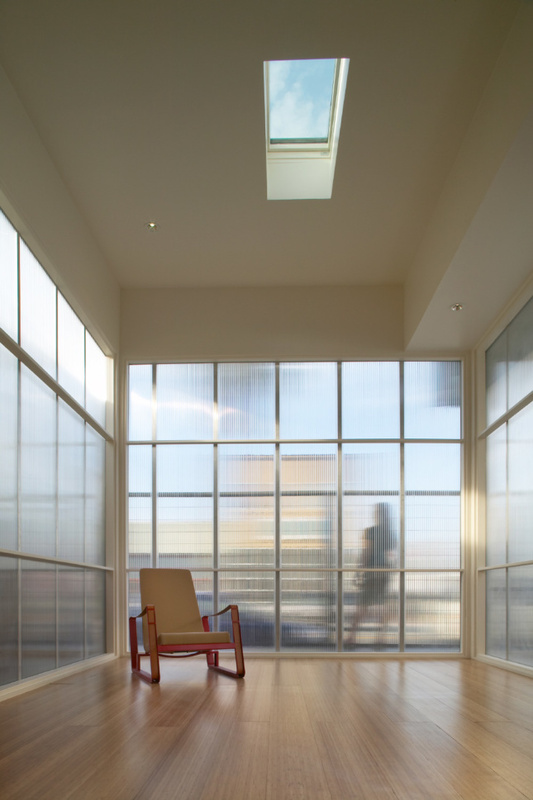 LivingHomes, based in Santa Monica, California, offers a variety of factory-made designs for single- and multifamily units, including models designed by prominent architects and firms such as Yves Béhar, Ray Kappe, and KieranTimberlake. LivingHomes’ designs are built by its spinout firm, Plant Prefab, which focuses on construction and assembly. 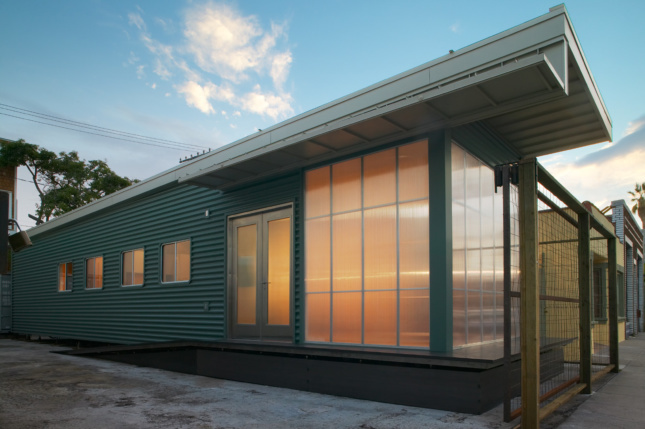 Founder and CEO Steve Glenn is hoping Plant Prefab will lead the way in creating a national network of home-building factories where “homes are built like airplanes” rather than as one-off works, as is currently the case. Plant Prefab bills itself as the nation’s first sustainably minded home factory, and recently garnered a $6.7 million investment from Amazon, which is looking to expand the market for the company’s Alexa smart home technologies. Seattle-based Blokable, on the other hand, pursues vertically-integrated projects with the help of their in-house development team’s business model, which seeks to treat “housing development as a service.” By controlling planning, design, and production, Blokable is able to offer turnkey development services for local nonprofits and other housing providers at a lower cost. The firm offers standardized building systems along with customizable windows, doors, and finishes in order to meet a variety of price points. Blokable has begun the development process for a 64-unit housing complex in Edmonds, Washington. The project is a partnership between Blokable, the City of Edmonds, and the nonprofit Compass Housing Alliance. At the smaller end of the building scale, Gardena, California–based Cover is working to boost the availability of backyard Accessory Dwelling Units (ADUs) in Los Angeles. Owing to a 2016 state law that legalized these backyard structures, Cover has developed unique zoning analysis software that can give potential clients a view of what type of ADU they can build. Cover offers sleek custom designs and uses its own modular building systems, fabricating units in a new factory in southern L.A. County. While many of these outfits are relatively new, legacy prefab designers are also making strides. 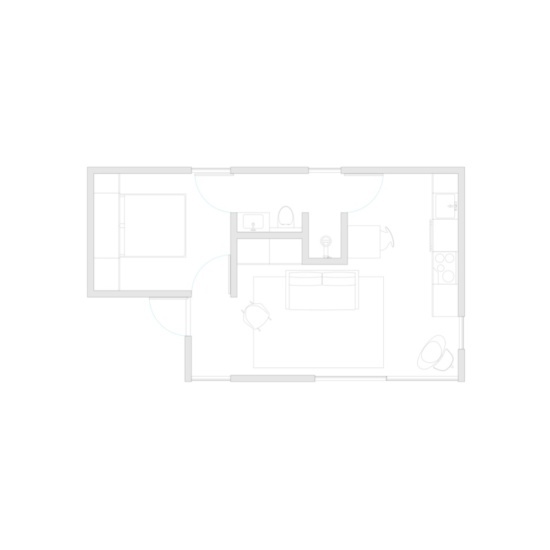 Office of Mobile Design (OMD) principal Jennifer Siegal has been working at the intersection of portable architecture and housing for over two decades, pioneering a distinct approach to modular design that is flexible enough to include additions to existing buildings, as well as develop modular commercial structures. 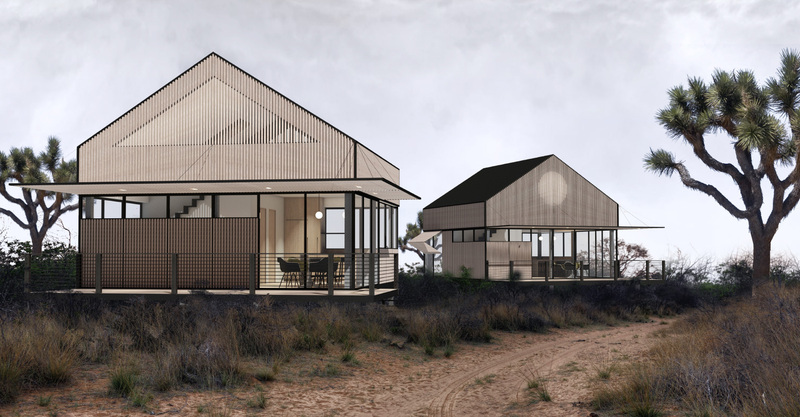 Siegal recently partnered with builder Bevyhouse and premium kitchen designer Tortoise to develop her own line of prefab ADU models and is also currently working on a modular design for the Sanderling Waldorf School in Carlsbad, California. 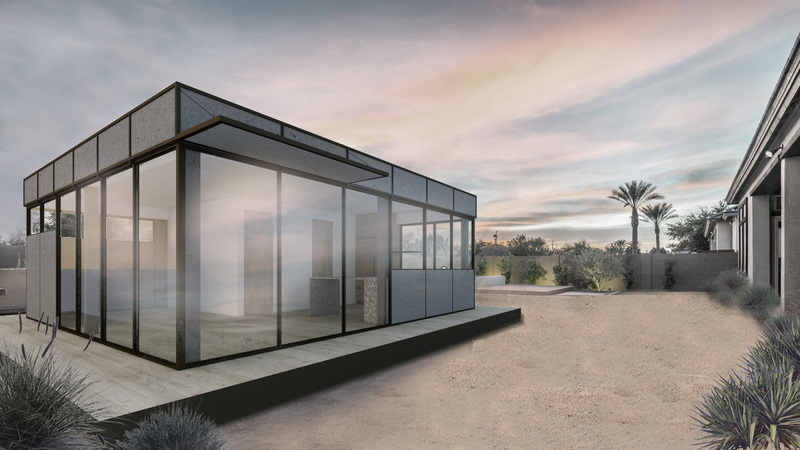 If OMD’s continued experiments in non-housing prefab building types are any indication, factory-made structures of all types could soon make their way off the assembly line and to a community near you.